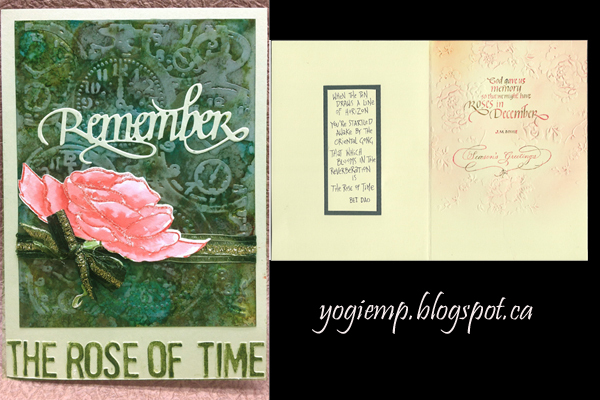 Loving this rose (2pce set) & quote from Quietfire Design and the Season's Greetings sentiment (3pce set). Beautiful Christmas card! 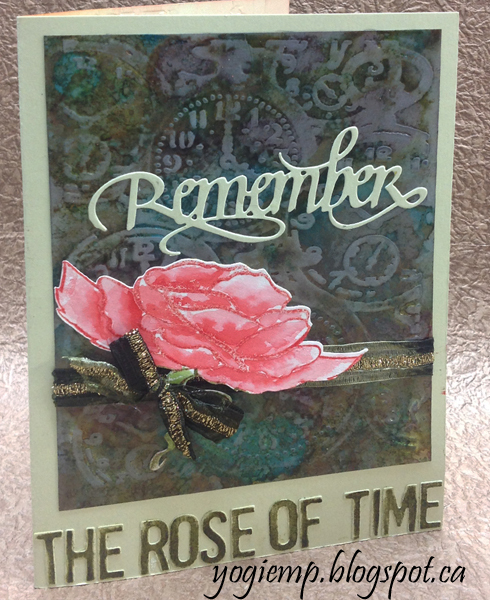 I love that rose and the beautiful script on Remember! Thanks for sharing with us at Scrapy Land Challenges! What a beautiful creation in such lovely colours Yogi, thank you so much for sharing with us at Stamping Sensations and Penny Black and More challenges. This is so elegant and beautiful, lovely sentiment too. Thanks so much for taking the time to share with us at Penny Black & More this month. "That which blooms in the reverberation is the rose of time" -- so beautiful! I've always loved the roses in December quote, too. Different for Christmas is good. Roses for Christmas are always especially pretty. Fabulous background, Yogi. 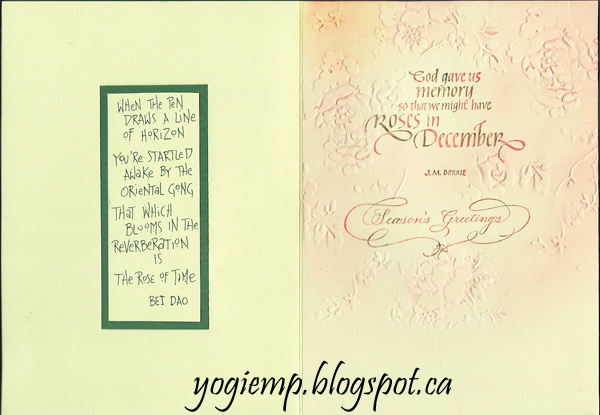 Gorgeous card Yogi! It's so elegant and pretty. So beautiful, Yogi! Loving the sparkle and that rose is simply magnificent. Thanks so much for joining in the "Anything Goes" challenge at Scrapy Land this fortnight. Hope to see you for our next challenge also.